DOMAINS ARE A URL's BEST FRIEND! If you did not find what you were looking for in the multiple Showcase listings, please consider contacting us about a more individualized custom name solution. 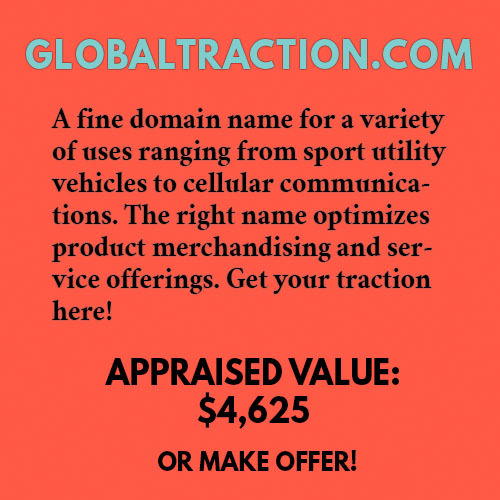 Current sales figures for domain names sold recently are listed in DNJournal (Domain Name Journal) and provide a solid basis to compare with the appraisal values listed in the Domain Name Lab showcases. Click here to see the listings. We are currently having a 50% off sale! Browse through the "Showcases" in the navigation bar to see our listings!